So as many fans are aware, the N64 era was a jump for many games into the third dimension. Games like Mario and Zelda were impacted in a positive way. Others... not so much. While it may seem odd that Nintendo chose for every last one of their properties released on the N64 was transformed into 3D. Until you consider the possibility that the N64 may have been incapable of 2D graphics. It makes sense; Even opening logos and GUIs are made up of 3D objects. Did the N64 hardware make it impossible for developers to create 2D games? I'm asking seriously. While it may seem odd that Nintendo chose for every last one of their properties released on the N64 was transformed into 3D. Why odd? Being all-3D was the USP (*1) for the N64. Since games had to be rewritten anyway, why not making them fit the new dogma? Until you consider the possibility that the N64 may have been incapable of 2D graphics. Just because something isn't obviously used, doesn't mean it's impossible. It makes sense; Even opening logos and GUIs are made up of 3D objects. Did the N64 hardware make it impossible for developers to create 2D games? Of course not. The N64 still featured a classic frame buffer (what else) which got filled by the Reality Coprocessor (RCP) and read by the Video Interface (VI) when outputting. So a program could as well put the RCP on hold (well, let it run NOP loops) and have the CPU manipulate the frame buffer as simple bitmap graphics. Or any combination thereof (*3). Depending on the VI mode this would be like a plain 320x200@24b bitmap. Just again, why go that way of 'manually' do all the bitblitting and timing and transformations needed to make a game look good in 2D, when the RCP could do the same with no (or at least way less) effort in real time and in 3D? Just think of a simple explosion: where in 2D the artist would have to pre-render a series of different tiles in various sizes to be shown in an accordant timing, when the same in 3D can be done with a simple cloud, modified by color and shader arguments and let the RCP do the work, not only simplifying programming but also outputting a way better result. *3 - Many games are known that to add effects by postprocessing the frame buffer. Or even better have the RCP (pre-)renver various 3D game parts into memory and then feed them again in as textures, use them to overlay parts of the frame buffer or even combine them by CPU before feeding the VI. Some emulators were at first rather disappointing recreating it. The developer of the Glide64 renderer plugin for N64 emulators has writen a multi part series (Intro, P.1, P.2, P.3) of blogposts about his work to emulate the frame buffer in a way that as many as possible frame buffer tricks can be emulated. A must read to get an idea how colourful that can be. All consoles with 3D capability are able to do 2D graphics, simply by rendering flat polygons on a fixed plane. Nintendo provided libraries to do this with the N64, which were used for things like 2D menus and the HUD in otherwise 3D games. 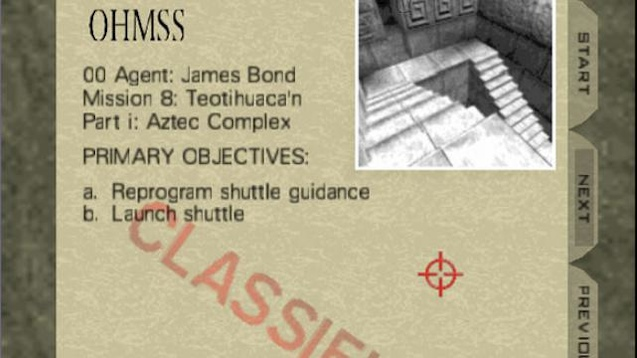 For example, the popular game Goldeneye featured 2D menus and a 2D HUD overlaid on the 3D game display. The N64 did have one big limitation that made it somewhat unsuitable for 2D games though: the 4k texture buffer. As can be seen in the screenshot above, the quality of the 2D graphics is not great, with low resolution repeating textures and somewhat poorly defined text. Compared to contemporary machines fully 2D games would have looked poor on the system, so were rare. Mischief Makers was primarily a “2D game” for the N64, and has a bit of a cult following. Any UI or HUD you might see on a 3D game (the number of lives, stars, coins, etc in Super Mario 64, for instance) are typically presented as 2D elements. Historically, it was common in that era for Sony to deny publishing of 2D games on the original PlayStation for US territories, so few 2D games made it out of Japan on that platform. It’s very possible this was the same story with Nintendo, or at the very least, it might have been common in the industry at the time to move away from 2D since 3D home console games were now for the first time, truly viable. 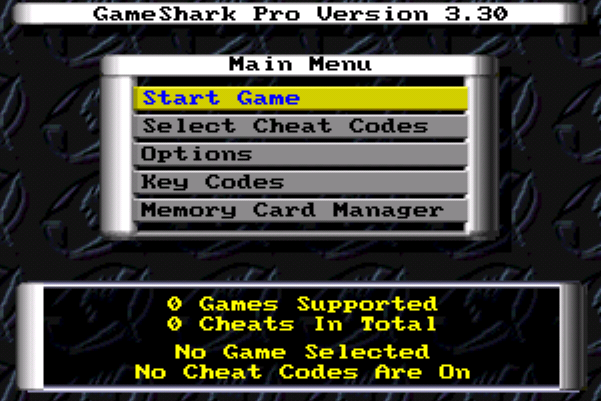 If you'd like an example of the N64 producing 2D graphics comparable to the SNES, look at the interface of the Action Replay / Gameshark. It shows a text screen and a scrolling looping background, similar to, say, the menus in Tetris Attack or Kirby's Dream Course. I don't know off-hand if these effects are produced by 3d elements (quadrilaterals in space) or 2d hardware acceleration (tilemaps and sprites), but as you can see, the system is able to produce output of that style if instructed to. Not the answer you're looking for? Browse other questions tagged hardware nintendo nintendo-64 or ask your own question. Were any unlicensed games released for the Nintendo 64?